The 4th of July is only a few days away, and if you're as busy as I have been, you don't have much time to finish off your party planning. 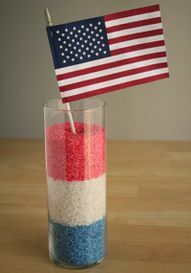 So I wanted to share a few of my favorite easy ideas from my Patriotic party pinterest board. Haven't heard of Pinterest? It's an amazing new way to keep track of your favorite online ideas and projects. You simply "Pin" your favorite pictures to your "board" and Pinterest saves all the information for you to easily find later. It's like a bookmark program with all the pictures instead of lists. Totally Amazing, right? But the only way you can start pinning is to get an "invite" from the people at Pinterest or someone you know who "pins". But it's TOTALLY worth it! So if you're interested, just leave me a note (with your email) and I'll send you an invite...it's that easy to start pinning today. 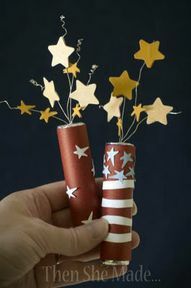 So while you're looking for easy, check out some of these easy projects to spice up your party. Check out the rest of my fun finds HERE...and I'm sure there will be more added before the weekend! Like these amazing cookies! I would LOVE to get a Pinterest invite! 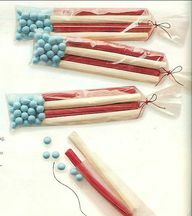 Also, love all the ideas for July 4th celebration! I've been hearing so much about Pinterest...sign me up...or well, send me an invite if you'd be so kind :) Thanks!